Sure, superheroes are great, they have multiple superpowers and opposable thumbs. But, try fighting crime when all you have is a heat. Time to turn up crime fighting to 500 degrees. 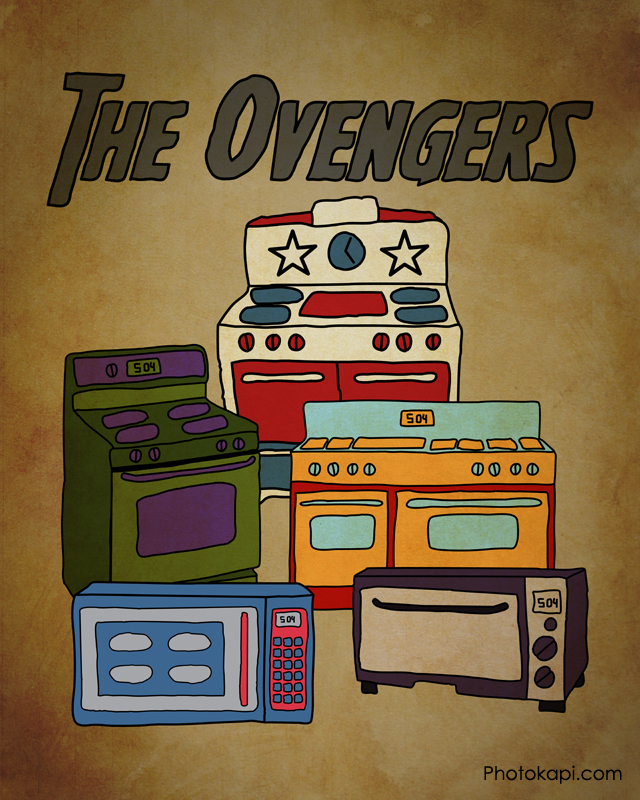 Ovengers Assemble! Yes, you CAN buy the Ovengers poster for your very own wall. Is this artwork available as a poster? It is available as a digital print. It was designed at 16×20, so could be purchased as an 8×10 or 16×20, it’s available at http://photokapi.smugmug.com/Art/Illustration/22519022_D2DcXz#!i=1801489380&k=VHvj2vg. It is printed on photographic paper professionally by ezprints, and you have the options of framed or unframed etc.